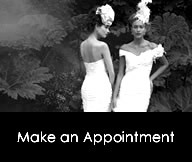 Create an hourglass shape with a style that nips in at the waist and flows out to a graceful skirt. Add a belt to emphasize your small waist. This cut flatters almost all body types. 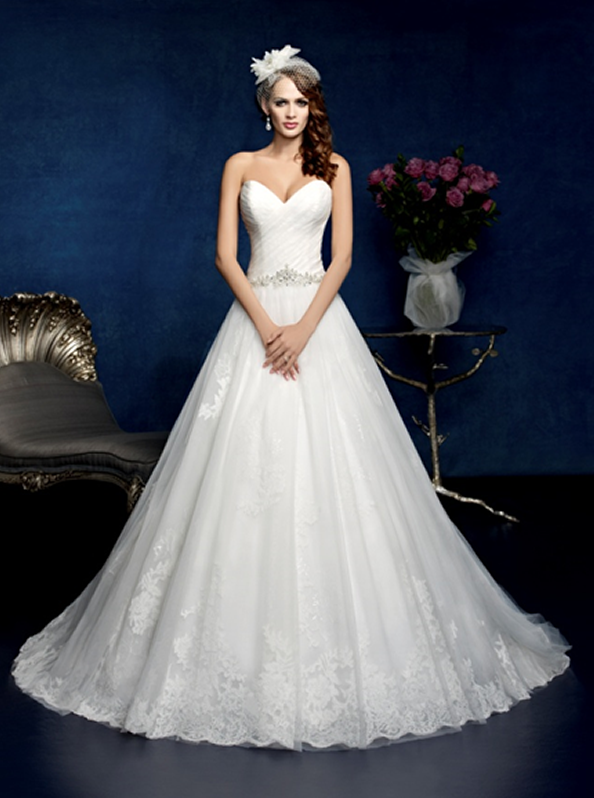 This stunning voluminous A-line gown has a Swarovski crystal encrusted sweetheart neckline and a finely draped skirt. A beautiful one-shoulder floral strap continues asymmetrically across the bodice and skirt, finishing mid-length where the draping parts to reveal an intricately beaded lace insert. This statuesque empire A-line gown has a sweetheart neckline encrusted with Swarovski crystals. 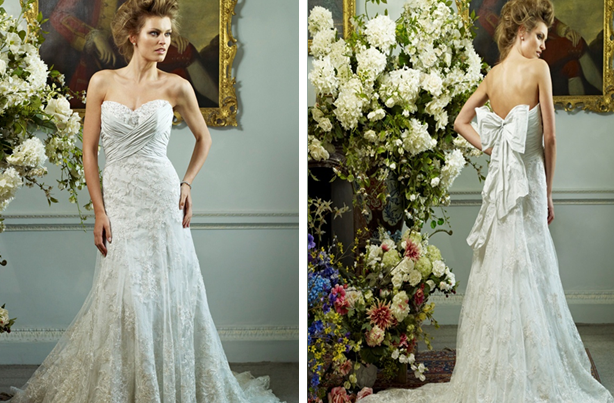 The finely draped cross-over bodice wraps around the body into a large scrunched bow at the back. The exquisite vintage-look French lace overlay is hand embellished with beads and crystals and covers the entire gown and cathedral train. A romantic gown in silk dupion and tule. Horizontal pleating detail on the neckline is wrapped with asymmetric criss-cross draping that binds the bodice and is mirrored on both the front and back. The draping opens at the skirt to reveal delicate appliqué accented with Swarovski crystals, which is complimented with a matching bolero. Fabric: Silk dupion & Tulle.